This expert show is dedicated to the workforce of today and tomorrow. Pete ‘the Job Guy’ Langlois introduces his listeners to Jacksonville’s most innovative companies, and he explores the career journey’s behind some of Jacksonville’s top influential individuals – all done with an honest and entertaining filter. Pete the Job Guy is not the only Hard Work-ah in this family. Angie has been a successful businesswoman her entire life. Take a look at her LinkedIn profile. We make a great partnership. What do you have to lose? You could end up with a better job or tips to make your current job bearable. Sounds like a win-win to me. Pete The Job Guy’s Hard Workah show offers such a great wealth and variety of information geared towards making leaders and job seekers a better version of themself. The show is fun, informative, and interesting. Great job Pete and Arren, you are doing all the right things! Great radio show with an insightful, smart and wonderful candid host!!! Gives great advise, witty delivery of educational stories, "lollipop" moments, encouraging us to get out of the cubicle, polish our resumes, and reach for the stars! I want to say “thank you” for all you have done. BUT especially the words of encouragement. Your company was different in that you understood things like a layoff happened. As a result, I will only recommend you and the company! One of THE best business conversations I have had was with [Pete]. I remember standing in my home office with French doors feeling down because I was in school for Business Intelligence while job hunting. [Pete] returned my call. We talked about job hunting versus pursuing a career. [Pete's] presence, strength, & knowledge shone through the phone. It felt like [Pete] was in the room with me! I could tell he was smiling. I smiled too & took a deep relaxing breath. I was feeling important and heard. I was the ONLY person that held his concentration. It was intentional. It was a pivotal moment for me. Even though I was going to put my job hunt on hold for a few months to finish my degree, I knew I was doing right by my career. And [Pete] said “when you are ready.” The phone hung up but I continued feeling invigorated, renewed. I, then, followed my path & my dreams and never looked back. See? Inspirational! I put myself into each dream, person by person, task by task, keeping end results in mind. Send in your resume and I’ll help you out! And get this, I’ll do it for FREE! Do you want Boston Danny to use his magnificent accent to wish your loved-one a happy birthday, or happy anniversary, or whatever occasion? Shoot us an e-mail and we will be sure to send your request to Boston Danny!  Do you know someone that deserves to be nominated for the Pete the Job Guy Certified Hard Work-ah award? Submit them here with your story and we will share on the radio.